Saturday 13th & Sunday 14th August we headed to Brisbane to showcase our LavoshBites™ in the Woolworths Vendor Kitchen. 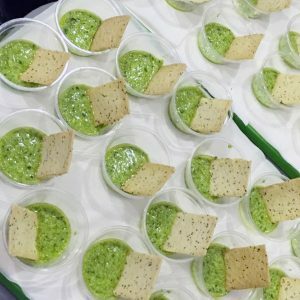 With thousands of people moving through the Woolworths area we enjoyed supplying a sample of Kurrajong Kitchen LavoshBites™ with Broad Bean & Feta Dip. Our wonderful consumers got to meet Ben as the original founder of Kurrajong Kitchen Lavosh.